The oil price plunge that marked the end of 2014 wasn’t incidental, as it was really a calculated move by the US and Saudi Arabia to bring Russia and Iran to their knees. F. William Engdahl wrote about this back in late October, and his article on the topic painstakingly describes the strategic thought that went into this massive asymmetrical offensive against dual Russian-Iranian interests.Another piece released around that time also draws attention to what a foolhardy gambit this entire venture is, since it risks blowing up the US’ shale oil bubble and precipitating fears of a resultant economic collapse. The geopolitics of 1986, when such a move was first attempted against Moscow, are different than those of 2014-2015, and no matter how ‘well thought out’ the plan was, however, it failed to be the economic ‘knockout punch’ that the US and Saudi Arabia hoped it would be for both Russia and Iran. 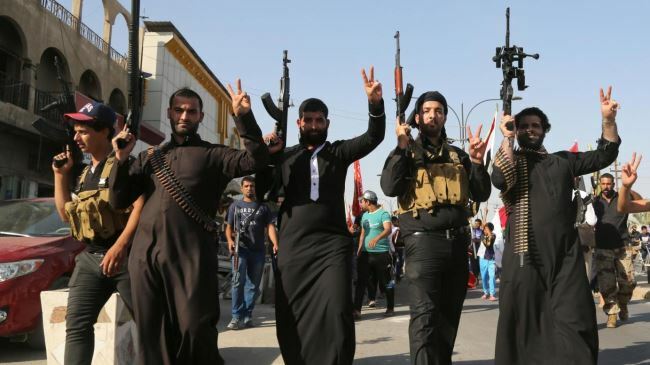 Concurrent with the oil competition between the US and Saudi Arabia, ISIL struck back at one of its creators by bombing Saudi mosques in May and at thebeginning of this month. Attacks had been threatened even before then, but the first mosque bombing really opened the Saudis’ eyes to the fact that their spawn has grown out of control and might even have been strategically corralled by the US into attacking the Kingdom directly. In the beginning, Saudi Arabia might have thought that ISIL would remain a loyal proxy actor in between Syria and Iraq, but the miscalculated War on Yemen that the new king commenced proved to make fertile breeding ground for the terrorist group’s newest nest ofoperations along the country’s exposed southern border. 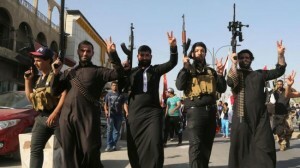 Approaching ISIL from the standpoint that it’s an American-Saudi proxy gone bad, and that the US currently exercises the greatest degree of power in ‘guiding’ the group towards targets of mutual benefit, then it makes sense that Washington would deploy such asymmetrical pressure against Saudi Arabia in the midst of the heated oil war just like it does against the Syrian Arab Army during the ongoing regime change war. The Saudis are already a paranoid lot, seeing conspiracies everywhere (especially those of an Iranian-Shiite nature) even if they don’t really exist, so they’re receptive as it is to any possible indication of a plot against them. Given this preconditioning, it’s understandable why they’d view ISIL’s threats and attacks as being part of an American plan, especially since it coincides with a period of publicly distrustful relations between the two (motivated by the oil war and the Iranian nuclear deal). The Saudis aren’t alone in this assessment either, sincesome Russian analysts also agree that this is the case and that the US has finally decided to move forward with Ralph Peters’ plan for taking down the Kingdom. It looks like the US wants to cripple, control, and then usher in the collapse of Saudi Arabia, and that it may have decided to initiate this power move since it saw a favorable window of opportunity with the rise of the ‘Alzheimer King’. It’s known that others are really behind the scenes (and shuffling things up while they’re at it), but still, the US might have seen the ascension of an incoherent king and the palace infighting and further successionist intrigue this would lead to as the destabilizing trigger for unleashing their long sought-after plans for the Saudis (although it’s not yet known how committed they are to this or how far they’ll ultimately go). Saudi Arabia is so afraid of ISIL that it’s constructing a massive 600-mile-long wall along the Iraqi border in order to keep the terrorist group from formally expanding its ‘caliphate’ into the Kingdom, but its main oversight was that it never occurred to it that: it could be flanked from the Yemeni side; and ISIL can ‘spawn’ its own cells within the country via internet social networking. When the first attack happened in May, it threw the Saudis into a mild panic, and they finally woke up to the problem they’ve created. It doesn’t mean that they’ll stop supporting other terrorist groups, but that they’re done doing so with ISIL, especially since it could be that the US is now strategically ‘guiding’ it towards attacking Saudi Arabia. 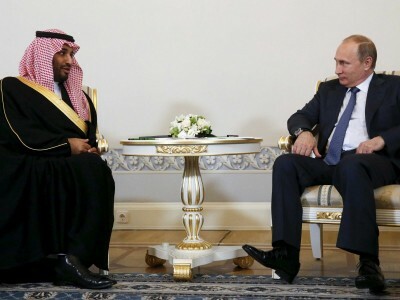 With such a mindset, it makes sense for Riyadh to entertain Moscow’s notions of an anti-ISIL coalition, even if they don’t agreewith one another about Syria’s formal participation. 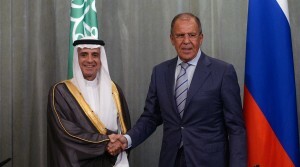 However, because it’s beenclarified during the joint meeting of Russia and Saudi Arabia’s Foreign Ministers that Russia is more interested in coordinating presently existing anti-ISIL activity and not creating a brand new coalition, it’s possible that Saudi Arabia could play some passive role in this format by withdrawing its support for regime change terrorist groups in Syria, which will be expanded on more below. Before dismissing such talk as ‘speculation’, one should consider the recentshuttle diplomacy Russia’s partaken in to save Syria, as well as a couple other strategic facts that further this thesis. Firstly, Syria has obviously become a quagmire for the proxies that are fighting against it, and Saudi Arabia clearly can’t ‘win’ (or secure its ‘win’ from being taken over by Turkey) in this relatively short timeframe. From its perspective, it’s much better to cut its losses and focus on Yemen instead, and Russia could help ‘sweeten’ the deal by offering to throw in some (discounted) advanced weapon systems to calm the Kingdom’s fears about the Islamic Republic. Russia, after all, is known for juggling its military relationship with both Armenia and Azerbaijan, fierce enemies, while still retaining positive ties with both, so it’s foreseeable that it might think of attempting something similar (albeit on a much more grand scale) with Saudi Arabia and Iran.